Our parent company, PenFed Credit Union, put out a great post a while back on identity theft and, with the recent hacking attempts, it seemed relevant to re-blog it now. Did you know that an estimated 17.6 million Americans—that’s 7% of U.S. residents age 16 and older—were victims of identity theft in 2014. That’s 17 million people whose credit cards were used fraudulently or had their personal information used to open new accounts. Having your credit card or identity stolen can make for a big financial headache—and make a mess of your credit until you fix it. To sort things out, you must contact your financial institution to notify them about the fraud so they can review your account for possible fraudulent transactions and close the account. Also, they will initiate sending you a new card or debit card with a new account. This can be done usually by telephone. However, if your identity has been used to open new fraudulent accounts, the process can be more involved, requiring you to file a police report and dispute inaccurate data on your credit report. While you are not typically on the hook for fraudulent transactions, it can take time to sort out. You should keep a record (date, time, name of financial representative, summary of conversation) of each call to the financial institution. Never give passwords or personal information to strangers. Scammers calling your home or even emailing you can be very convincing. They may tell you they’re from the government or your financial institution, and warn of dire consequences if you don’t hand over your social security number, account numbers, or passwords. But no valid institution will ask for this information over the phone or by email—if someone contacts you asking for it, they’re trying to scam you. If you’re contacted by someone and are not sure if it’s legitimate, contact the institution directly to confirm. Keep your passwords secure. You want to use a strong password—at least 12 characters, including numbers, capital letters, and special characters—to make it hard for thieves to crack. On top of that, you should change your password regularly and never use the same password on multiple websites, which can mean that all of your accounts are compromised if a thief gets just one password. A password manager app on your computer or smartphone can help you keep track of your passwords without resorting to writing them down (which is certainly not secure). If it’s available, you should also use two factor authentication. Two factor authentication requires you to log on with both a password and a code that’s usually texted or emailed to you when you try to log on—and it will stop thieves in their tracks. Make sure your computer is secure. You should apply security updates to your computer and web browser when they’re available. Most apps can be set up to do this automatically, making it a no-hassle process. If you’re using a shared computer, be sure to log out of any accounts before you walk away, and never use a public computer to access banking or other sensitive information. Watch your wallet. It doesn’t matter how careful you are with your information if a thief steals your wallet. Always keep an eye on your wallet or purse. In case your wallet does go missing, don’t carry more personal information than you need to. Your social security card, rarely used credit cards, and written down passwords or Personal Identification Numbers (PINs) should never be kept in your wallet. Not carrying unnecessary personal information will help protect you even in case of theft. Keep your financial documents safe. If other people are in your home, like workmen or even roommates, keep your financial paperwork safely stored and locked up. And when you’re getting rid of bank statements—or even credit card offers you’ve received in the mail—shred them to be sure no one can use them to get your information. Monitor your financial statements. Even if you’re following all of these steps to stay safe, you may still find yourself the victim of fraud. The best way to catch it early is to check your financial accounts regularly: monitor statements from your financial institution and keep an eye on your credit report. If you see any transactions you didn’t make, report them immediately. Review your credit report, annually. Your credit report is essentially your financial report card. It’s important to know how to review it and make corrections, if needed—and know what you need to do if you should ever detect fraudulent activity. Federal law requires each credit reporting company to give you a free copy of your credit report once a year. You can request free copies of each of your credit reports from AnnualCreditReport.com. This entry was posted in Finances, Tips and tagged cresit report, identity theft on April 25, 2018 by MMM. Ask your favorite Berkshire Hathaway HomeServices PenFed Realty professional to show you homes for sale that have the size, features and finishes you want, and create a comparative market analysis of homes like yours so you’ll know what you can reasonably expect to net if you sell. This entry was posted in Berkshire Hathaway HomeServices PenFed Realty, homeowners, Real Estate, Tips and tagged home renovation, listing your home, sell or remodel on February 6, 2018 by MMM. Whether you are shopping for a home in a familiar location or a new neighborhood, remember that you are buying more than a home. You are also buying the neighborhood, so it helps to become familiar with your favorites, whether you drive them or walk them. Neighborhoods can also change over time, so look for signs of transition. Do you see reinvestment or decline? 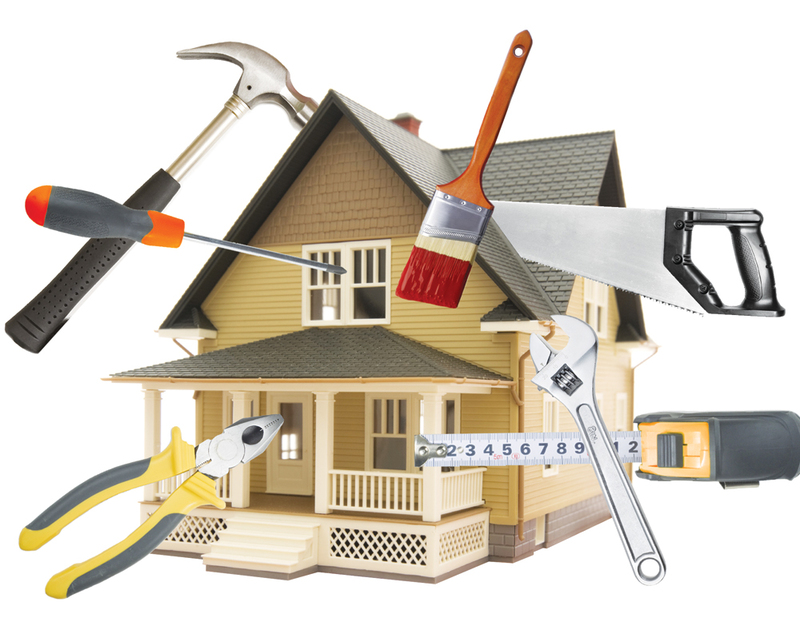 Homeowners reinvest by repainting, making repairs and refreshing their homes with updates. What kinds of stores and services do you see? Dollar stores or boutiques, payday loan shops or investment firms, fast food or upscale restaurants. Are you the right target demographic? Visit the area at different times of the day and on weekends. What’s traffic like? How long is your commute? If you are looking in a neighborhood a little further out than where you currently live, you definitely want to drive your commute at rush hour traffic. Ready to get started? Call 703-836-1464 today! This entry was posted in Berkshire Hathaway HomeServices PenFed Realty, News, Real Estate and tagged first time home buyer, home buying tips, Newsletter on January 31, 2018 by MMM. In June 2017, cybercriminals stole more than $14 million from unsuspecting people. Real estate transactions are especially vulnerable to these wily larcenists. Real estate purchases routinely involve sending large sums of money by wire. This method is convenient, fast, and generally secure. Still, sophisticated criminals have been able to exploit people’s lack of familiarity with the real estate and escrow process. One of the most common scams has been to convince an unwary buyer that the instructions for wiring funds have changed at the last minute “for security reasons.” The email, which appears to come from the title company or other settlement service provider, asks the buyer to wire their funds to a different link than previously agreed. The unsuspecting buyer who falls for this deception will discover, too late, that their money has been diverted to the scammer’s offshore account and is gone forever, along with the scammer. The obvious advice is to avoid getting taken in by this kind of chicanery. Never wire funds without personally verifying with the title company or real estate closing lawyer that any change is genuine. For those unfortunates who may fall prey to the scam, there are some immediate actions that may offer a slim chance to recover the misdirected funds. Contact the bank or other financial institution the funds were sent from. They may be able to stop the transfer. Contact all parties involved in the real estate transaction, including the title and escrow people, the seller and the agents. Inform the FBI immediately. You can file a complaint at www.ic3.gov. This should be done as quickly as possible. Even waiting just 72 hours could be too late for any recovery. There are few experiences in life that are more stressful, emotional and confusing as buying a home. Criminals are well aware of this and will do their utmost to leverage those aspects to separate unsuspecting people from their money. This entry was posted in Berkshire Hathaway HomeServices PenFed Realty, Buyers, Finances, Legal, Tips and tagged buyer beware, closing, cyber crime, wire fraud on January 14, 2018 by MMM. With as little as 5% down you could own this condo and have a monthly payment as low as $1550 – the same price as your rent would be! Check out the below scenarios. We especially love the 5-5 ARM program for its great rate and the fact you could be able to get 1.5% of the loan amount* paid towards your closing costs at settlement. Be sure to read the fine print at the bottom of this post for more on the closing cost promotion. If you have some money saved up and you would like to make a larger upfront investment you can get your total monthly payment even lower than rent! Interested in learning more? Email me at Maxine (at) PenFedRealty.com and we will get in touch with you with the full scoop on this property and others that may meet your needs. Either way, this is a great deal! Hillwood is located just across the street from the Trade Center with terrific shops, restaurants, and a spa. Then just a few blocks away you can grab a coffee at Starbucks, do your grocery shopping, drop the BMW off for service, or hop the Metro into the city. 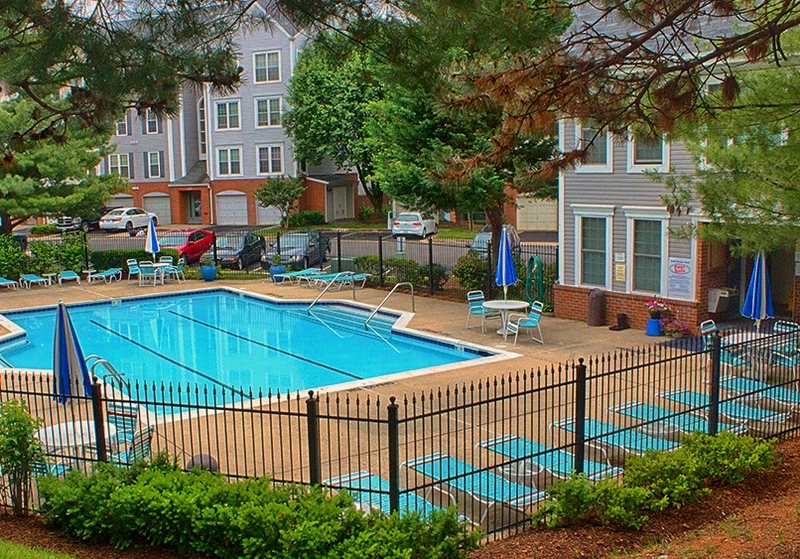 The unit is right next to the community’s clubhouse and swimming pool. 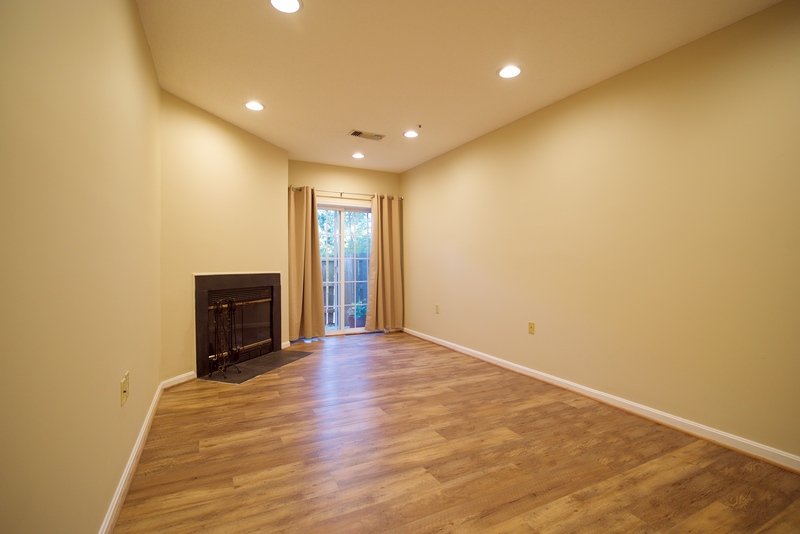 It has been newly updated with fresh paint, new floors, brand new appliances, Pella glass door, and more! Oh, and it has a terrific patio too! In short, you can save money, build wealth, and help the environment by using the Metro instead of your car for the daily commute! Check out the photos below or visit www.AHouseToSee.com for more information! Small Print: Rates Generated on: 10/9/2017. Payments are estimates. Actual Payments may be greater. See page 2 for additional Minimum/Maximum Payment information. APR= Annual Percentage Rate. ARM Rates may increase after consummation. 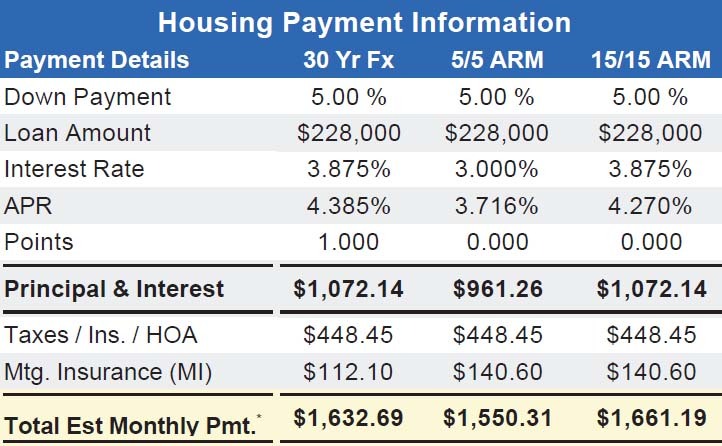 *Terms of Monthly Repayment: 30 Yr Fx (with MI): 103 payments of $1,184 at 3.875% and 257 payments of $1,072 at 3.875% (4.385% APR) 5/5 ARM (with MI): 60 payments of $1,102 at 3.000% and 300 payments between $1,142 to $1,001 at 3.375% (3.716% APR) 15/15 ARM (with MI): 180 payments between $1,213 to $1,072 at 3.875% and 180 payments of $1,027 at 3.250% (4.270% APR) Rates as of: 10/6/2017 Program, rates, terms & conditions subject to change without prior notice. Pricing adjustments may be required based on down payment, credit and other factors. This is not an advertisement to extend consumer credit as defined by Reg Z 226.2. All loans subject to credit and property approval. Acutal rates my vary based upon factors like credit rating, down payment and the intended use of the property. 5/5 ARM adjust once every 5 yrs. after initial fixed 5 yr. term. Caps 2/2/5, Margin 2.0, and Index based on the 5 yr. Treasury. 95% LTV available for owner occupied purchase loans at or below $424,100 with MI. High Balance fixed available to $636,150 in certain areas – call MLO. Max LTV for condos in DC Metro area is 80%, 70% elsewhere. Loans over $750,000 require two appraisals. Down payment requirements may vary. Products displaying a rate of 9.99% are not available. For a limited time, PenFed will pay buyer closing costs* on the 5/5 ARM and 15/15 ARM when a BHHS PenFed Realtor and our preferred settlement provider is used. *Visit Mortgage Center at penfed.org for details. 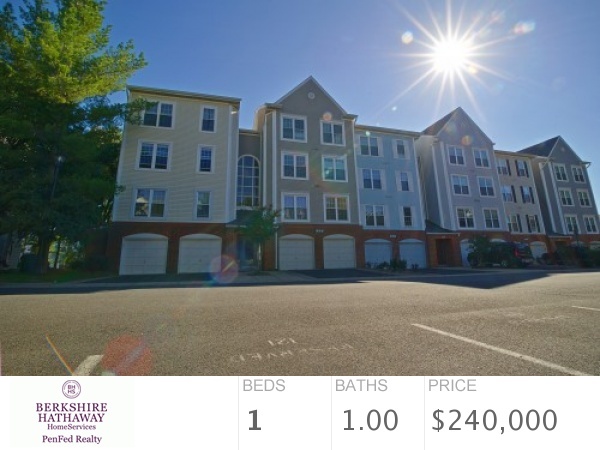 This entry was posted in Berkshire Hathaway HomeServices PenFed Realty, Uncategorized and tagged buy a house, live near metro, own for less than rent on October 9, 2017 by MMM. We are #1 among repeat home sellers! Berkshire Hathaway HomeServices – Ranked #1 by J.D. Power, again! Did you see the news? J.D. Powers ranked Berkshire Hathaway HomeServices #1 in overall satisfaction among repeat sellers! The study, now in its 10th year, measures customer satisfaction with the nation’s largest real estate companies. 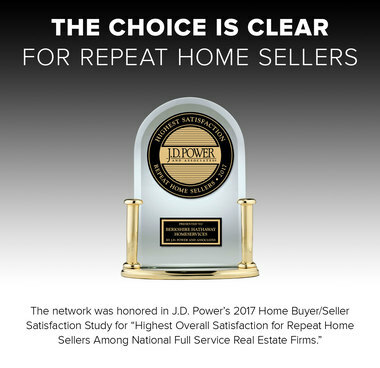 Among repeat sellers, the company also scored the highest when it came to satisfaction with their agent/salesperson, marketing, and the closing process. This entry was posted in Berkshire Hathaway HomeServices PenFed Realty, News, Real Estate and tagged client satisfaction, Company News, JD Power on September 15, 2017 by MMM. If you’re buying a home but are not interested in keeping up with maintenance, you’re probably looking at buying a condo or townhouse. 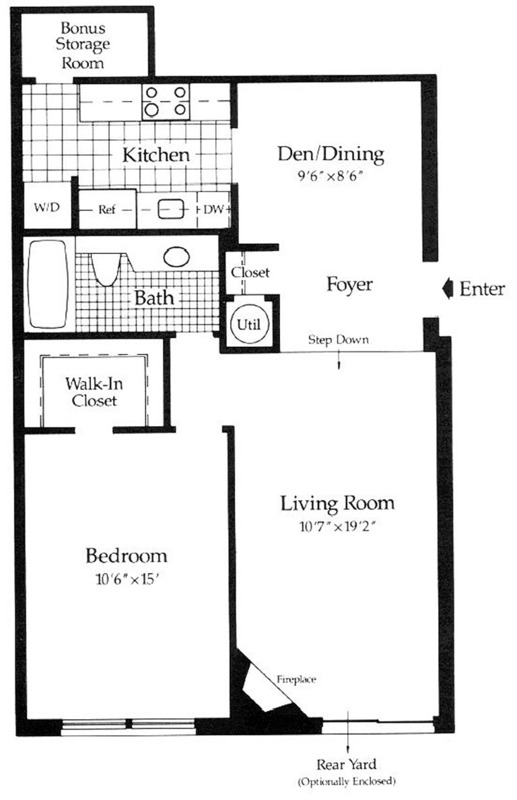 And while condos can feel very much like living in an apartment, a townhouse gives you a space of your own. 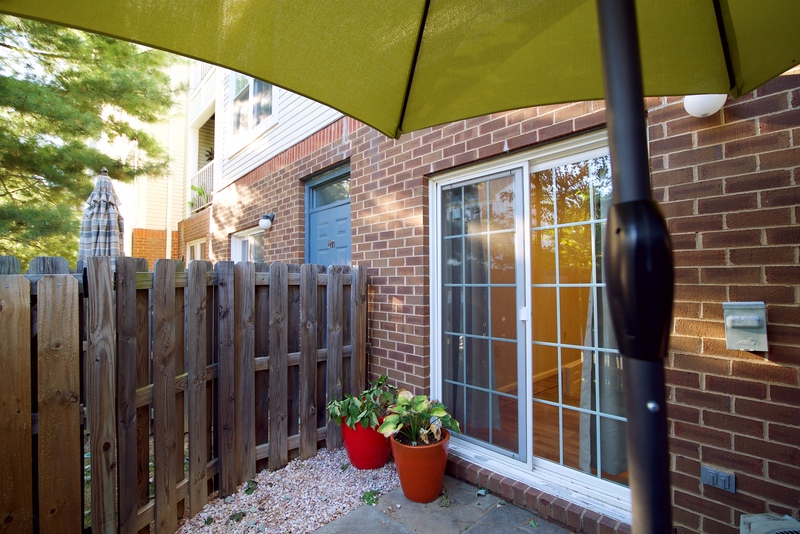 While townhomes typically do share a wall with another home (or homes) in the development, buying a townhouse is also buying the little plot of land it sits on, which means getting an outdoor space you’re not likely to find in a condo. You won’t find townhomes offering as much space as single family detached homes, but by offering more space than a typical condo they can have a lot of appeal for families—or anyone who needs more room than an apartment or condo, without the hassles of owning a single-family home. But a townhouse isn’t the perfect solution for everyone. Let’s walk through what you should consider before deciding on a townhouse. If you buy a single-family detached home, the repair and maintenance of it will be on you—but for townhomes, much of the repair and maintenance will be handled by an HOA. Though these services are not free, you’ll pay monthly dues in addition to your mortgage. An HOA will help you avoid unexpected costs (like the need to fix a damaged roof) and they’ll save you time on maintenance tasks by managing the yard and even shoveling the snow. Though this can increase your monthly expenses, it may also be a good way to make your monthly expenses more predictable, since surprise homeownership costs will be few and far between. If low maintenance homeownership appeals to you, a townhouse could be an ideal fit. However, you should still take a close look at the HOA and what it offers you, because the precise repairs and maintenance they’ll do will vary from association to association. Still, that association can come with snags if you want to customize your house. For example, you may not be allowed to change the exterior colors or plant whatever you’d like in your front yard. If that’s important to you, check the HOA’s rules (CC&Rs) to see what they allow. If they won’t let you use the property to your liking, you might consider a single family detached home instead. Though what you’ll find in your area will vary, because more townhomes can be built in a smaller space than single family homes, you’re more likely to find them in urban areas—possibly locations where it’s hard or prohibitively expensive to buy a single-family home. For this same reason, it can also be easier to find newly constructed townhomes, which can make it easier to find modern, updated amenities that you might not come by in an older single-family home. In addition to these extras, buying a townhouse also means you’re buying into a community, and most such communities will also have shared amenities, like a gym, pool, tennis court, or laundry room. Different developments will offer different perks, so if there’s something in particular you have your heart set on, investigate the development to make sure it has just what you want. Because you’re sharing your home’s walls and foundation with your neighbors, construction costs for a townhouse are often lower than construction costs for a single-family home—which means you’ll pay less to buy one. Even considering the HOA fees (which you should carefully weigh against maintenance and repair costs if you’re trying to decide whether to buy a townhouse or a single-family home), you may be able to get more home for less money by buying a townhouse. However, there’s a downside to that lower cost—and it’s the fact that you share one or more walls with your neighbors and don’t have a lot of space to get some distance from your fellow community members. Because of this, townhomes can be nosier and offer less privacy than a detached home (though they’ll be quiet to those used to living in a condo or apartment). In the end, how loud it is really comes down to your neighbors and your own tolerance for living in (relatively) close quarters. Reprinted with permission from PenFed Credit Union Blog. ©2017. All rights reserved. This entry was posted in Berkshire Hathaway HomeServices PenFed Realty, Real Estate, Tips and tagged buying a house, homeowners association, townhome on June 27, 2017 by MMM.